Who is Ty Dolla Sign? American rapper Tyrone William Griffin, Jr who shot to fame in 2010 when he featured on YG’s “Toot It and Boot It”. His debut album, Free TC, was released in November 2015, peaking at number 14 on the Billboard 200 chart. His singles credit includes “Paranoid”, “Or Nah”, and “Blasé”, as well as his writing contributions to “Loyal”, “Post to Be”, and “FourFiveSeconds”, among others. Apart from recording and creating music, he is also a member of the team D.R.U.G.S., which he found with his friends. He takes credits for introducing some of the talented singers to the world of music. Ty Dolla Sign was born on the 13th of April 1985, in South Los Angeles, California, United States of America. He is currently 34 years old. Birth Name Tyrone William Griffin Jr.
Father – Tyrone Griffin Sr. He completed his high school education through homeschooling. His past relationships include Alice, Kylie Jenner and Tinashe. Ty Dolla Sign dropped his first studio album, Free TC on November 13, 2015 under Taylor Gang Records and Atlantic Records. The album debuted at number 14 on the US Billboard 200 and was certified Gold. He has released two studio albums, two extended plays (EP), seven mixtapes and 41 singles till date. Ty Dolla $ign debuted in the 2012 comedy flick, Mac & Devin Go to High School, in which he played the role of Hemptathalon Smoker 1. In 2013, Ty Dolla Sign guest appeared as himself in an episode of GGN: Snoop Dogg’s Double G News Network. He is credited with hit singles “Paranoid”, “Or Nah”, “Blasé”, “Saved” and “Wavy”. He has an estimated net worth of $2 million as of 2018. 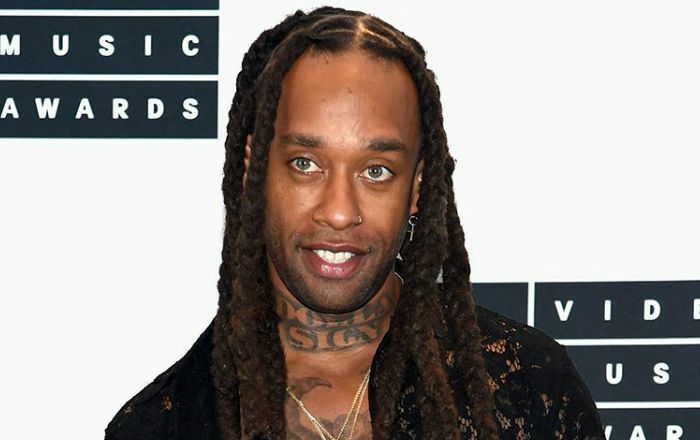 Without a doubt, Ty Dolla Sign is a famous rap artist of current times who has a massive following on all social media platforms with more than 3.5 million followers on Instagram, 1.3 followers on Twitter and 2.8 followers on Facebook. He credits Slum Village, 2Pac, Mos Def, Talib Kweli, and Kim Burrell as his music influences. Growing up, he developed his interest for music and kick started his music journey by learning to play the bass guitar, drums, keyboards and the MPC. He has a daughter named Jailynn Griffin from a previous relationship. In 2016, his collaborative single ‘Work from Home’ peaked at No. 4 on the Billboard Hot 100. His mixtape ‘Campaign’ peaked at No. 28 on the Billboard 200 the same year. His song “My Cabana” was ranked at #23 on Complex’s Best 50 Songs of 2012 list. Over the years, he has won several awards including the Teen Choice Award for Choice Summer Song and American Music Award for Collaboration of the Year for ‘Work from Home’ (with Fifth Harmony) as well as MTV Video Music Award in 2016. He released his second album, Beach House 3 on October 27, 2017. The album peaked at number 11 on the US Billboard 200.